Observation - Woodlouse - UK and Ireland. Description: On hedgehog poo, rounded edges suggest a pill woodlouse. 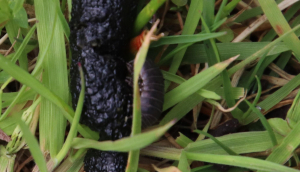 On hedgehog poo, rounded edges suggest a pill woodlouse.